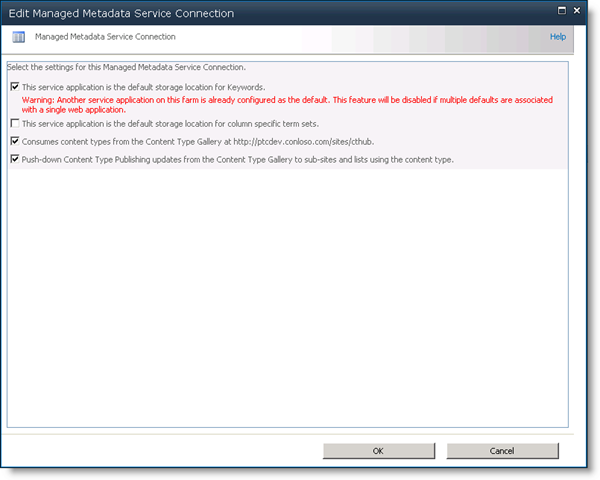 If you have multiple managed metadata service applications, you may need to set up the default termstore for a specific application that uses it’s own metadata service application. I had a specific web application that I wanted to use a dedicated term store. 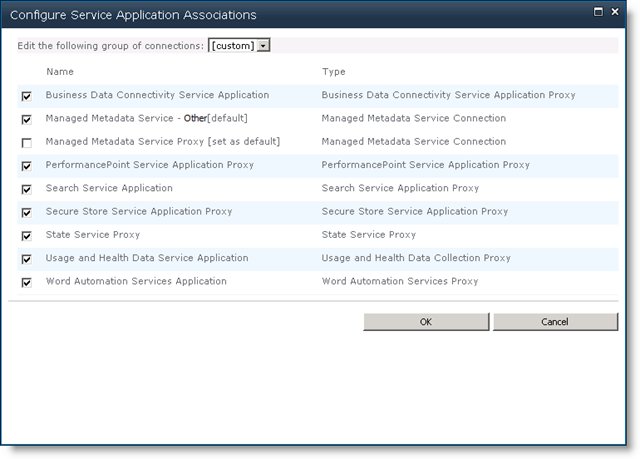 I created another metadata service app and associated it with the web application from the Service Application Associations page. The big red error that displays only applies if you have more than one service application set as the default for the same web application. 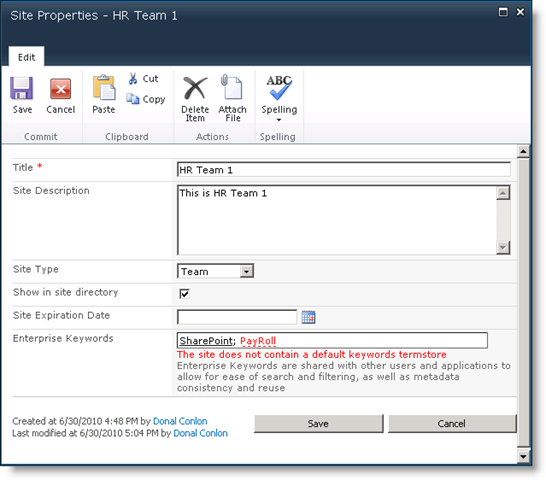 The default file name given to your solution will match the project name. I.e. 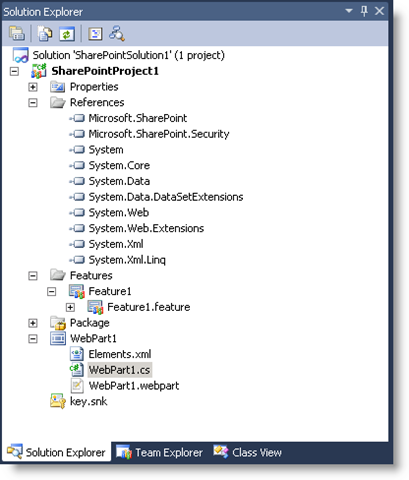 a SharePoint project SharePointProject1 will result in a package SharePointProject1.wsp. If you want VS to spit out a different name, modify the name attribute in the Package\Package.package file for your project. You may need to restart VS after making this change. So it’s often the case that I start a project and then decided later I want to refactor such elements like the namespace, package name etc. Let’s start with the namespace. When you create a new project (lets start with an empty solution), you provide the project name, solution name, and location. Before we go any further, lets build and deploy. Everything looks good according to the web part preview from the web part gallery. This typically indicates a problem between the web part file, the assembly, and the SafeControl entry in web.config. 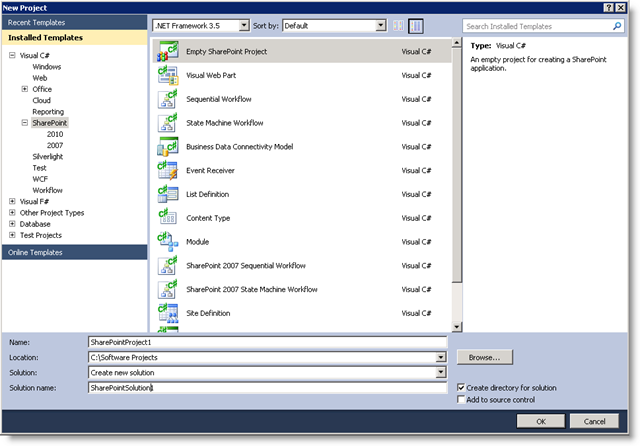 Notice the SafeControl entry is incorrect for Namespace. In order to correct this, the file SharePointProjectItem.spdata (located in the web part folder in windows explorer) needs to be updated. SharePoint does not update this file for you. Notice the SafeControl entry above where the namespace value is incorrect. Change this to the correct namespace and re-deploy. Now we’re back in business!